Use the form below to contact tour Uluwatu Tour & Cecak Dance directly. Uluwatu Temple, Monkey feed, Ceckac dance show. 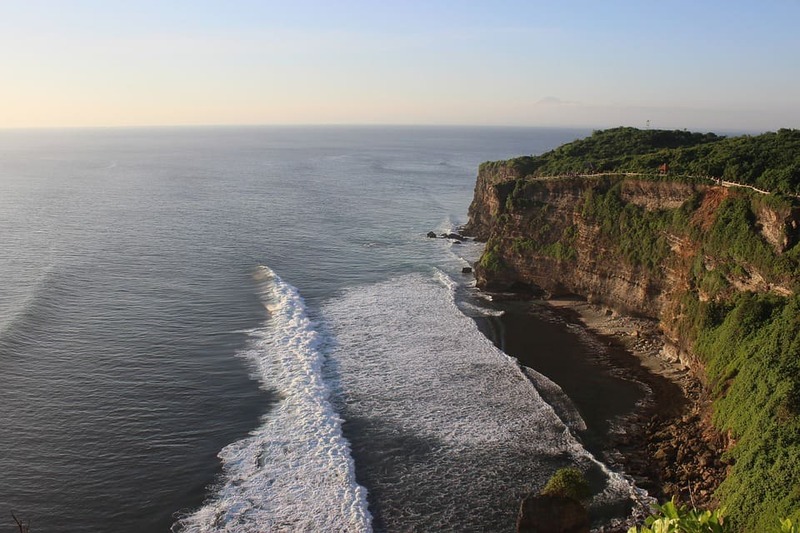 At this exciting Uluwatu Tour you will visiting the famous Uluwatu Temple, the amazing Hindu temple on the cliff bank with the deep rocky beach under its. 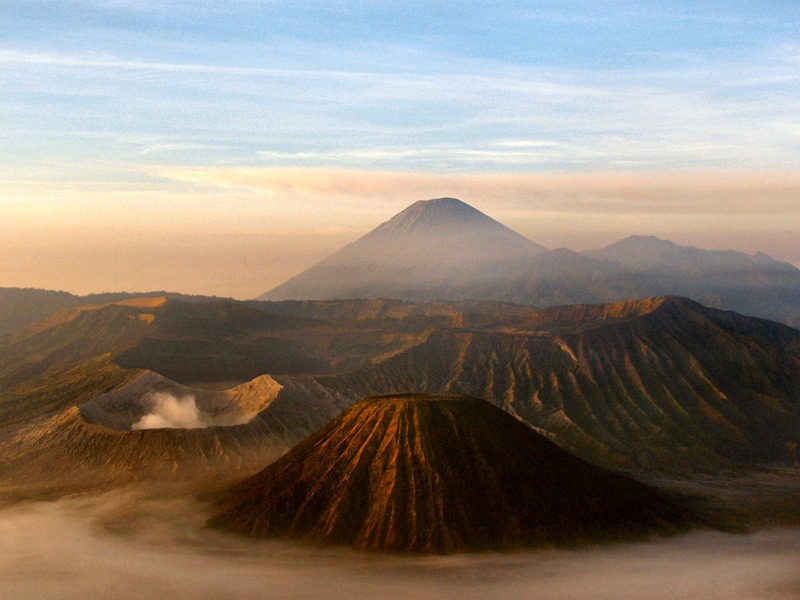 The temple is blessed with the breathtaking view of the Indian Ocean and sunset as backdrop. It is one of Bali half day tours to visit the beautiful place with the cute group of monkeys which dwell the habitat around the temple. Our professional tour guide will explain you about the history of the temple and the culture of the region. 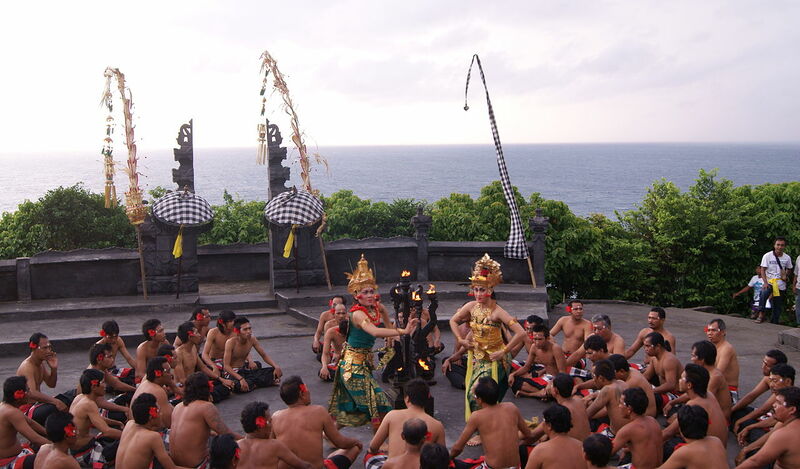 After Uluwatu Tempel we can se the Kecak Dance. 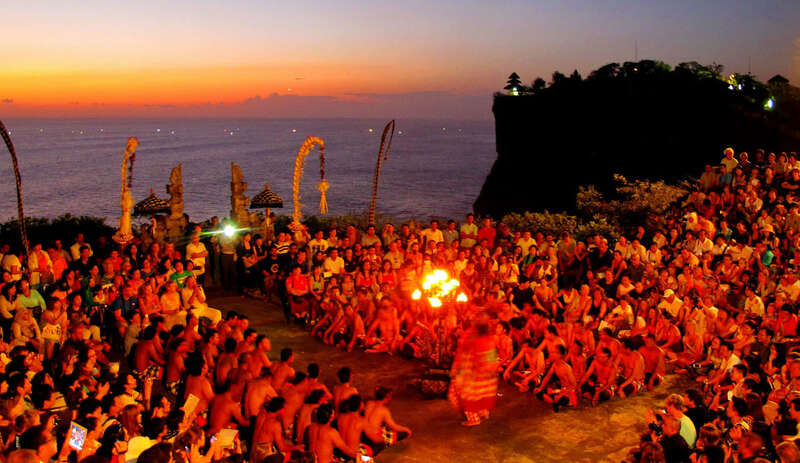 The Captivating Kecak, Trance and Fire dance are performed at sunset close to the Uluwatu temple. An exiting cultural dance show ! The Kecak dance and Monkey dance tells a story from the Ramayana epic (an epic folk tale that is very common in the Indian sub-continent and South East Asia), but without the usual gambelan orchestral accompaniment. Instead there is a 50 strong male ‘choir’ who chant, shout, sway and move about – it’s very eerie and mesmerizing. 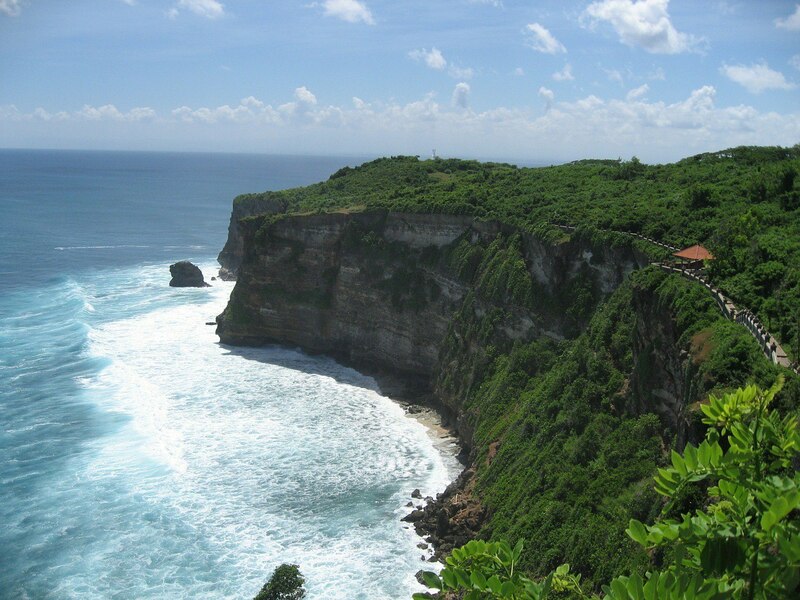 It is come with our private full air-conditioning car transfer and safety driver will complete your tour to Uluwatu. Optional you can have a seafood dinner at the Jimbaran beach. Uluwatu Temple is one of Balinese Hindu Temple located in southern part of Bali right on the cliff bank with magnificent view of the Indian Ocean. It is very amazing that this temple is built on the narrow peninsula with deep rocky beach under it. 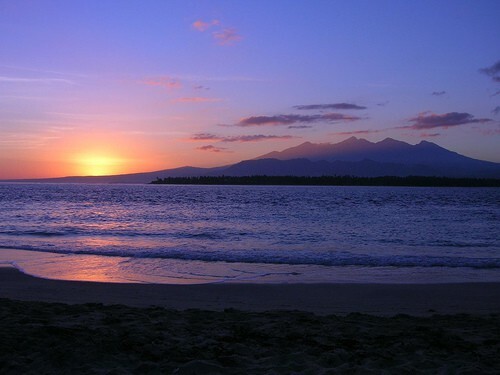 It own very beautiful view in particular of the sunset time. There are group of monkeys live around the temple that keep and protect the temple from the bad influence based on the local resident’s believes. Uluwatu Temple owns the history and culture heritage that is one of the value and feature that many visitors visit this place. Kecak (Monkey) Dance – Performed by a group of at least 50 men who dance in a circle around blazing bamboo torches. Possibly the most dramatic of the 3 dances, it has been taken from the Hindu epic Ramayana, the dance tells the story of Prince Rama and his rescue of Princess Sita, who has been kidnapped by the evil King of Lanka. The chorus of men, who provide the orchestral accompaniment with complex and varied chants that company their swaying movements. The only music to accompany them are the beats of their palms hitting their chests, their thighs, or other parts of their bodies, or their claps, rhythmically accompanied by shouting and chanting. Flickering torches provide lighting and an enchanting atmosphere. Dinner can provide at local seafood restaurant in Jimbaran for surcharge of US$ 15 per person. Single Surcharge: US $ 24. 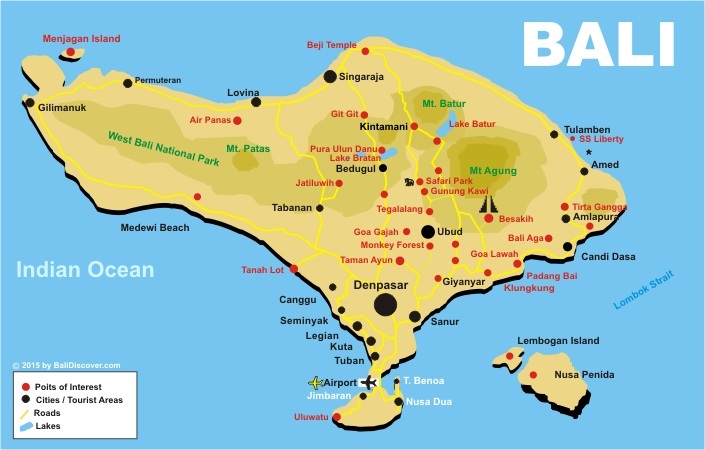 Surcharge for pick-up at Candi Dasa, Bedugul or Lovina Area: US $ 10 per Pers.